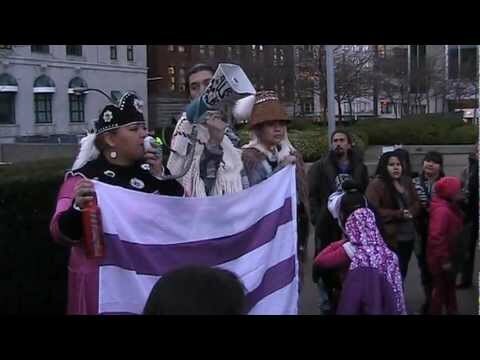 On January 2nd 2013 the Idle No More 'Round Dance Revolution' packed Waterfront Station in Downtown Vancouver - unceded Coast Salish Territories. Hundreds of people danced, drummed and sang in the overflowing concourse, and later cheered speakers outside. This short video gives a sense of the energy, and why you might want to join the revolution against Harper and his Big Oil cronies.